Top streamers from all over the world will compete in finals tournament on January 17. Amazon and Square Enix are hosting an official "Dissidia Final Fantasy NT" competition. It will take place January 17. Only top streamers from all over the world will be able to compete. If you pre-order the game you will be given a code to use on the tournament website. This will allow you to be able to predict the outcome.If you make the right predictions you will win some cool prizes. One of the prizes is a "Dissidia" arcade cabinet. Registration for the brackets ends January 14. If you pre-order the game with Amazon you will also get Cloud's exclusive nail bat DLC. If you pre-order with the PlayStation store you will receive warrior of light's exclusive nameless warrior outfit DLC. The release date for "Dissidia Final Fantasy NT" is January 30. It will be a new gaming experience because it is a team-based brawler. Past characters and worlds from the last 30 years of "Final Fantasy" will be featured in the game. Players will be able to choose from over 20 characters. There will be a three-versus-three arena and players will be able to summon. If you are new to the series or to fighting games, in general, there will be multiple modes in which to play. There will be a competitive mode, offline matches, training, and custom lobbies. Players will be rewarded for their efforts. Experience points and Gil will be received after each battle. Gil is money used in the game. Players can use that to customize their characters and gain new skills. There is also a new bravery combat system. Players must collect bravery points before unleashing a critical HP attack. There will be a few editions available when the game is released. One is the Steelbook Brawler edition which comes with one of three Steelbook cases. In order to get this edition, you must pre-order. The game will also have two digital editions and an Ultimate Collector's edition. Square Enix is hosting a pre-launch live stream on January 10. Voice actors from the English and Japanese versions will be there. Developers will be there, as well, to give fans a closer look at the game. The stream will go live at 6 AM ET. It can be watched on YouTube. "Dissidia Final Fantasy" is a PS4 exclusive. So far the classes that are available are vanguard, assassin, marksman, specialist, and summon. 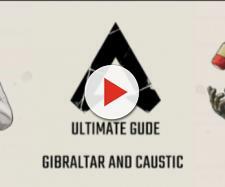 There is a beginning, intermediate, and advanced battle guide on the game website. This is the third game in the series. It is also the first not to be available on PlayStation Portable. 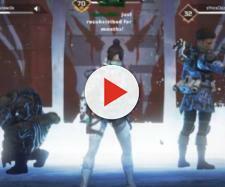 The three-vs-three combat feature will allow a single player to control up to three characters. Players can switch between them anytime they want. More than one of the same character can be on a team. The story will be told through events that can be unlocked through battles.